Takes 55 Minutes , serves 12. Preheat the oven to 375°F with the rack in the middle position. Sift both the flour and icing sugar into separate bowls. Combine the measured amounts and sift together three more times. Set aside. Place egg whites, cream of tartar and salt into a medium-sized stainless steel bowl and beat using a hand mixer until light and foamy. While continuing to beat the egg whites, sprinkle the granulated sugar over the egg mixture one tablespoon at a time. 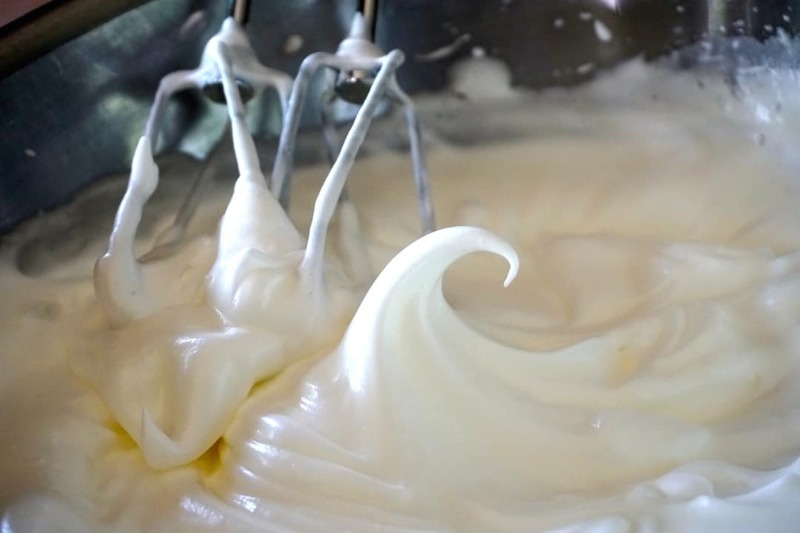 Once all of the sugar has been added, the whipped whites should be light and fluffy, holding peaks. Add the vanilla and almonds extracts, folding them in gently. Sift the flour and icing sugar mixture over the whipped egg whites, one tablespoon at a time, folding it in gently. Repeat until all of the flour and sugar has been added. Transfer the cake batter into a 10-inch tube pan, pushing the mixture to the side of the pan. 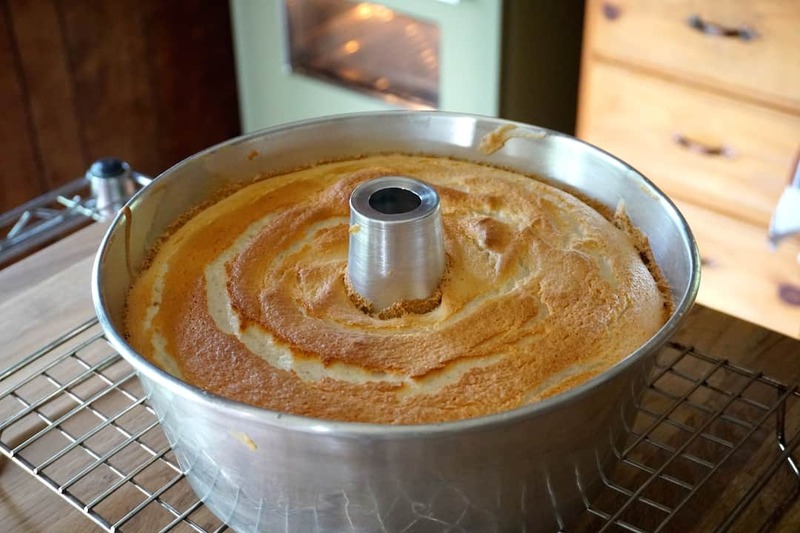 Draw a long knife through the middle of the batter to eliminate any air pockets. Transfer the cake to the oven and bake for 35 minutes, or until the top of the cake is a light, golden colour. Remove from oven and immediately invert onto a wire rack, allowing it to cool for 1 hour. Run a sharp knife along the edge of the cake and along the central chimney. Invert the cake over an attractive 12-inch presentation plate. Place a dish towel onto the top of the pan, tapping it lightly with a tablespoon. 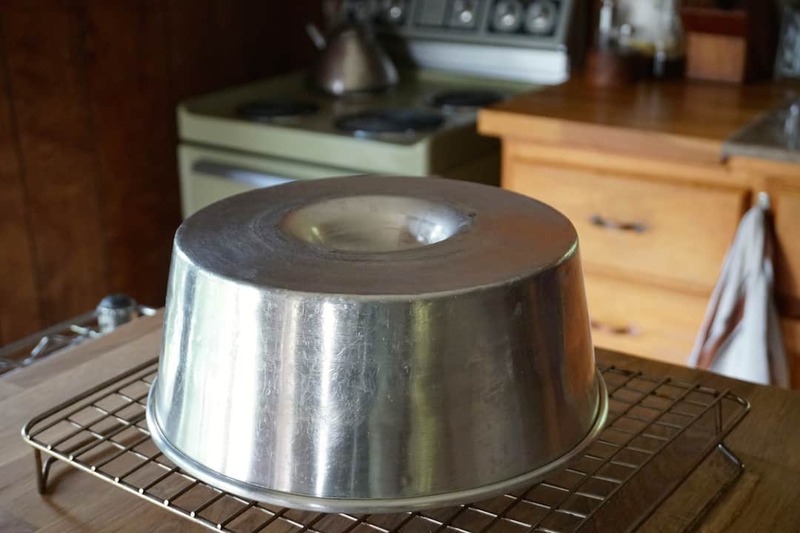 Hold the tube pan to the plate and give it a firm shake to release the cake. Garnish the top with a dusting of icing sugar or an arrangement of fresh fruit. Slice and serve. 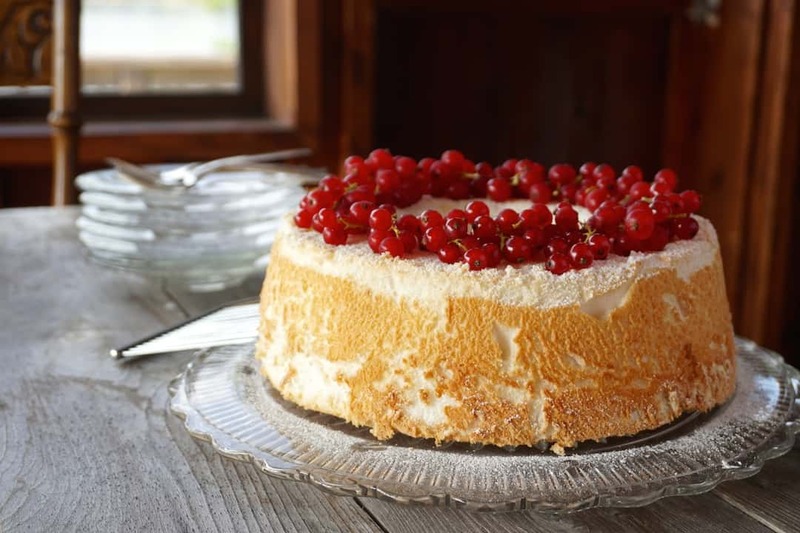 Prepare to be amazed by the flavour and height of this classic ANGEL FOOD CAKE recipe – it’s absolutely heavenly. 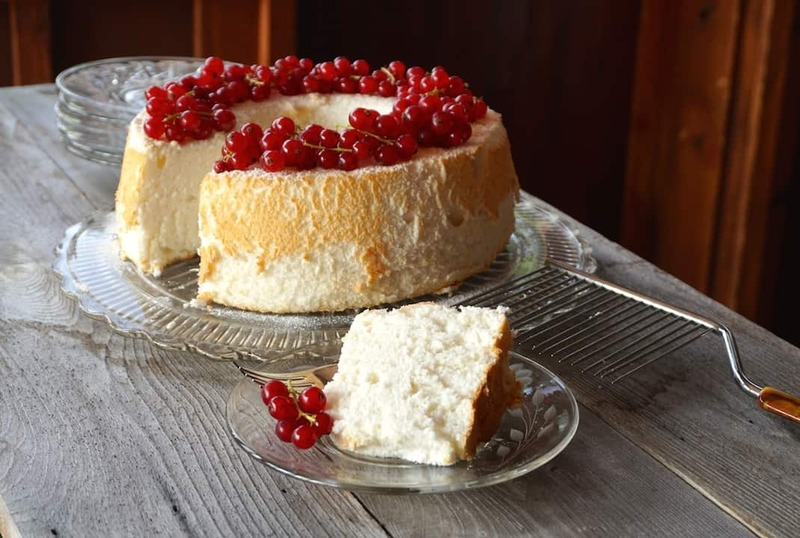 Light, airy and cloud-like are just a few words that describe this fabulous ANGEL FOOD CAKE recipe, which has long been one of my favourite cakes. Having made this countless times, I do think of it as an essential recipe; it’s just so remarkably good and the technique and process make me feel like I’m such a gifted pastry chef… almost, kinda! 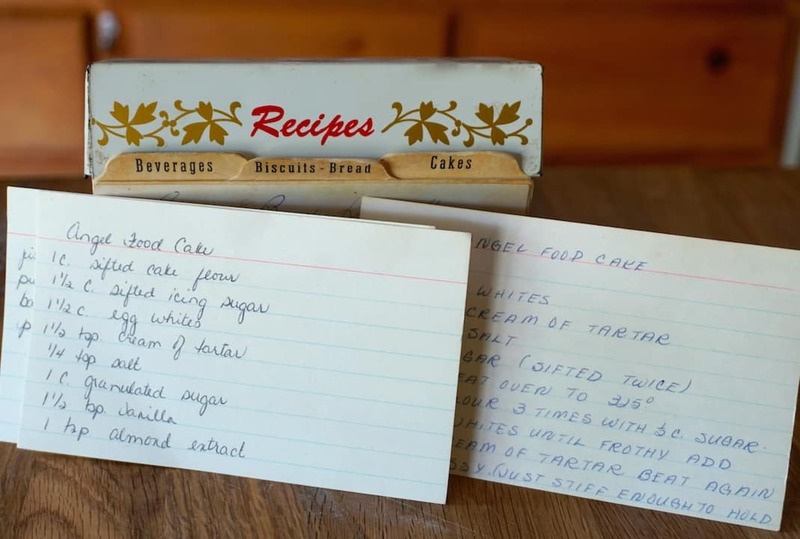 This recipe is a two-time hand-me-down, meaning two different cards have been indexed in my mom’s recipe box. The first is in my mom’s handwriting and is missing a key piece of information – a quantity of flour (aargh!). The card in my sister Maria’s hand – which we all think was my Aunt Mary’s recipe – is the one I now always make, and boy is it ever perfect. EGGS – Please do your best to use organic farm fresh eggs if you can find them, and bring those eggs to room temperature before you begin. 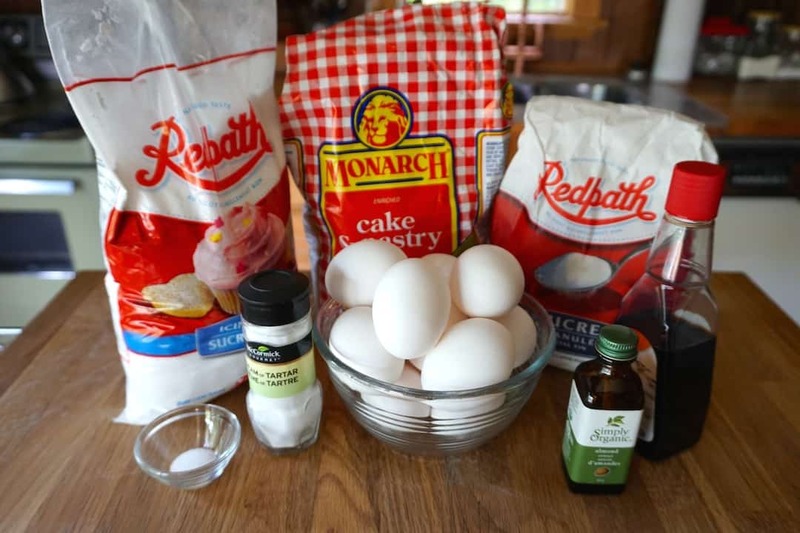 Important to note, this cake is all about egg whites and we use a measure of egg whites (1½ cups) as opposed to quantity. That said, having a dozen extra large eggs on hand will be more than enough. What to do with the leftover egg yolks? Make our fabulous HOLLANDAISE SAUCE. 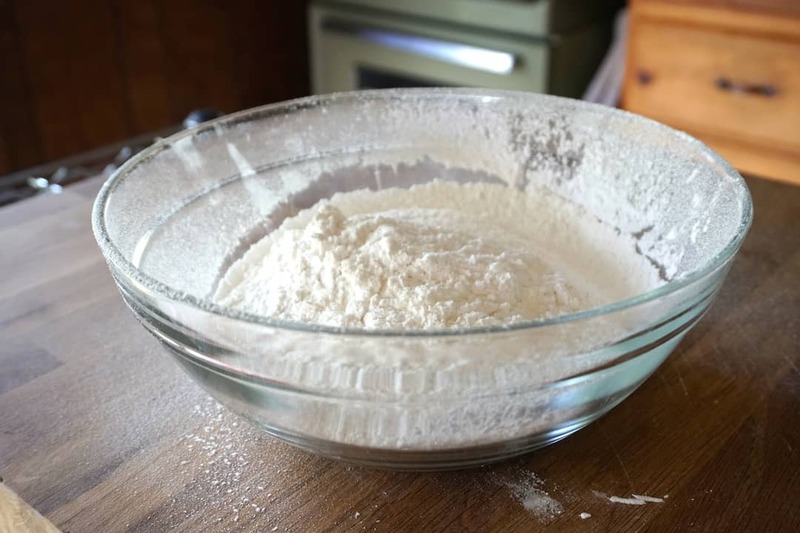 SIFTING – This recipe will exceed even your wildest cake dream if, and only if, you sift both the flour and the icing sugar. Every time I make this cake I’m amazed by the simplicity of this principle; fluff up those heavy ingredients and you’ll have a lighter cake. Makes perfect sense. 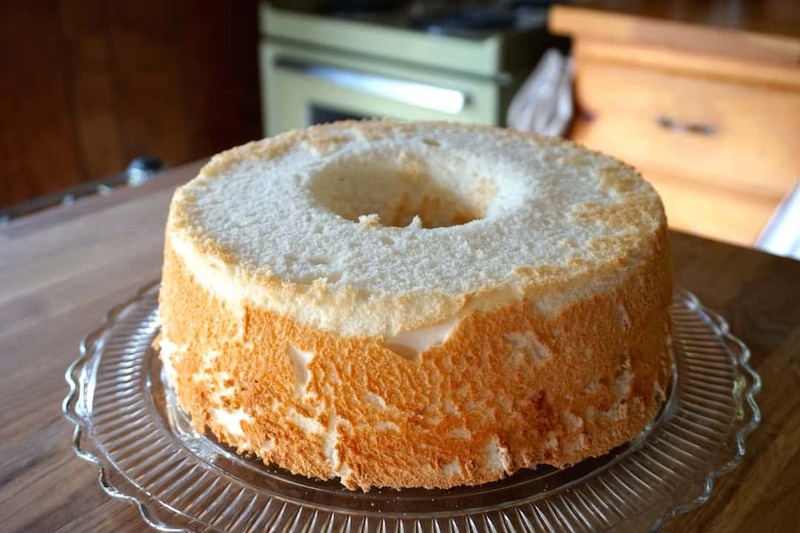 FOLDING – This ANGEL FOOD CAKE recipe will help you hone your folding skills. Sprinkle a titch of the flour mixture and gently fold it into the whipped egg whites. And again, and again, and again! Go slow, twirl your spatula and be gentle. The image I keep in mind is that of an angel folding clouds. Whatever works! Last thing about this cake is the hang time – letting it cool a full hour while inverted in the pan keeps the cake high and gorgeous. Excited to make this? 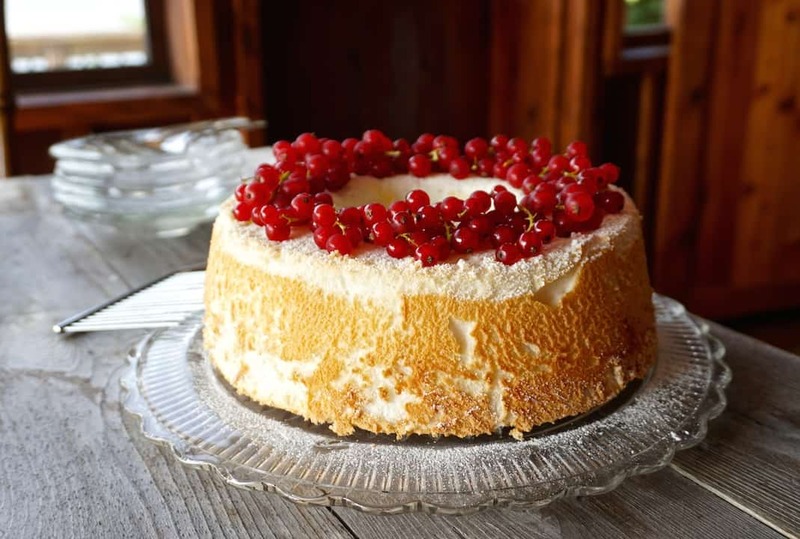 Here are some more great dessert ideas – how about our 1-minute video on how to make LEMON CURD, an amazing TRIFLE RECIPE or our often-requested HARVEY WALLBANGER CAKE? Yum, everything is so sweet! 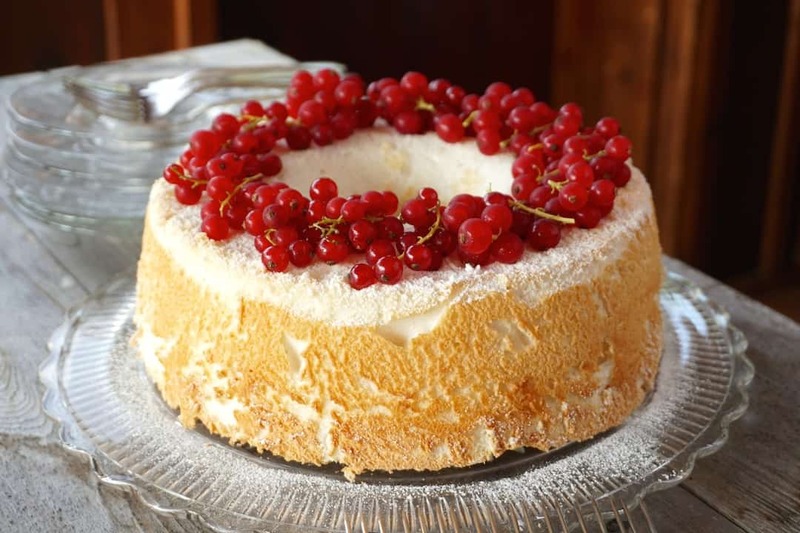 A classic ANGEL FOOD CAKE will take your next adventure in desserts to stratospheric heights!